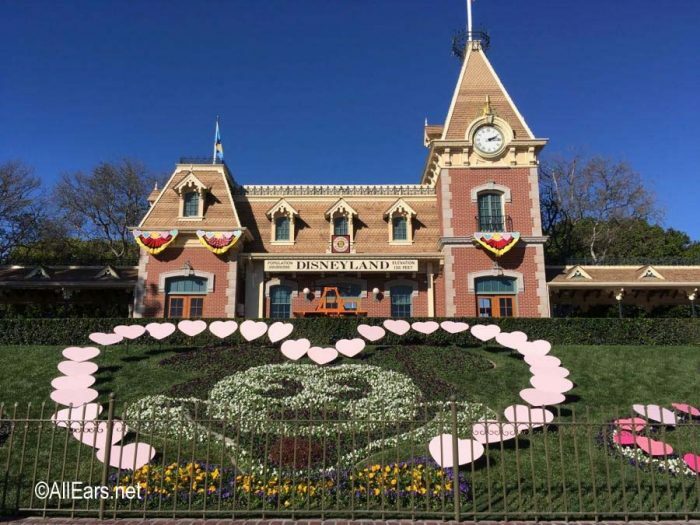 Disneyland is celebrating Valentine’s Day in a big way this year, with lots of special decorations, photo ops, and food. 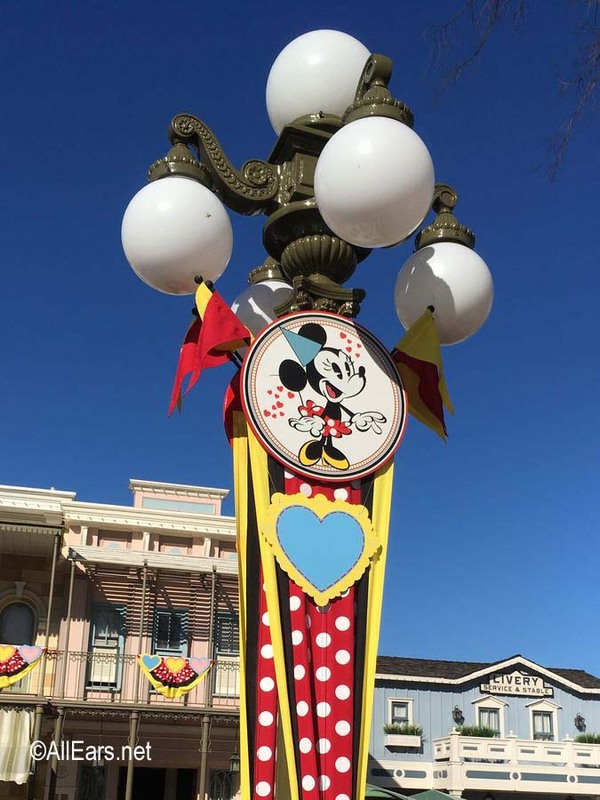 The celebration continues through February 18. 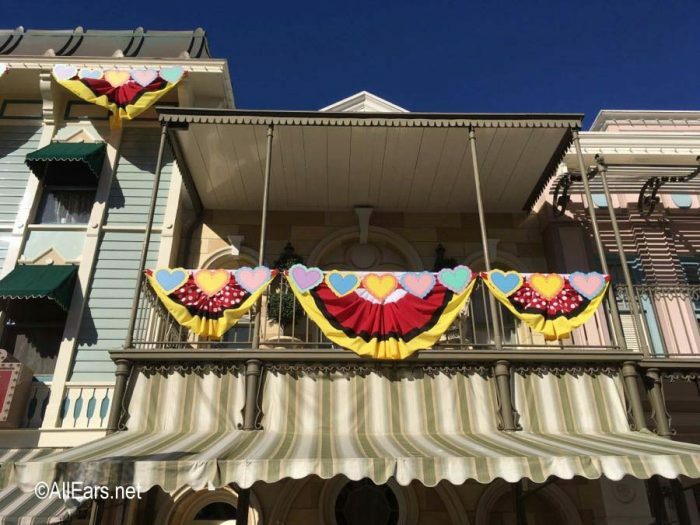 I enjoyed the Valentine’s Day decorations on Main Street — it’s surprising how simply adding hearts to the existing “Get Your Ears On” decorations made them so much cuter and more festive. 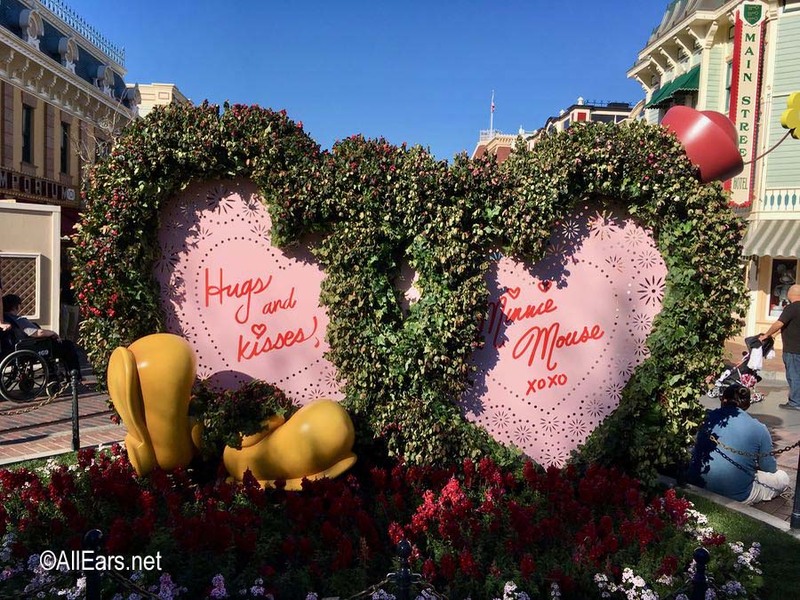 There’s a cute photo backdrop in Town Square — it’s the same on both sides. 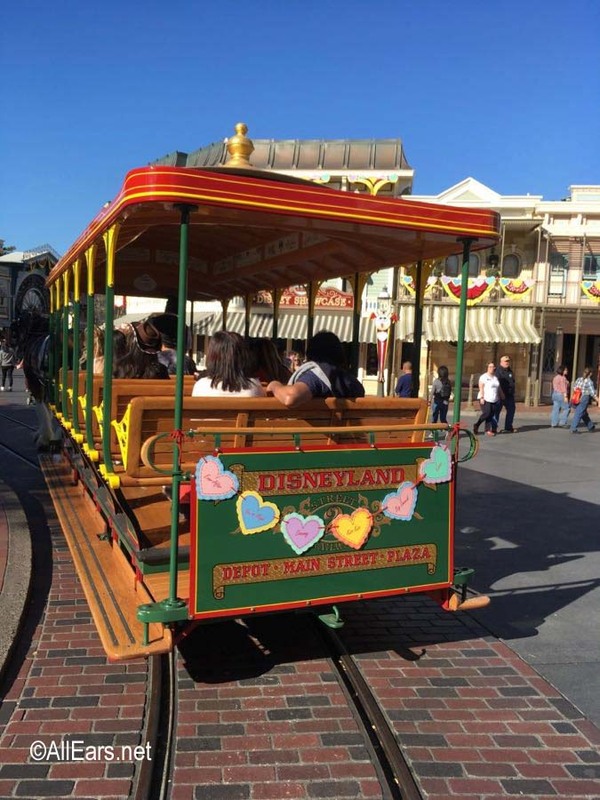 Even the streetcars have conversation-style hearts on the back – “Ever After”, “You’re Magic”, “Dreamy”, “Kiss Kiss”, “Big Smooch”, and “Kisses”. There are special heart decorations in some of the planters, too. 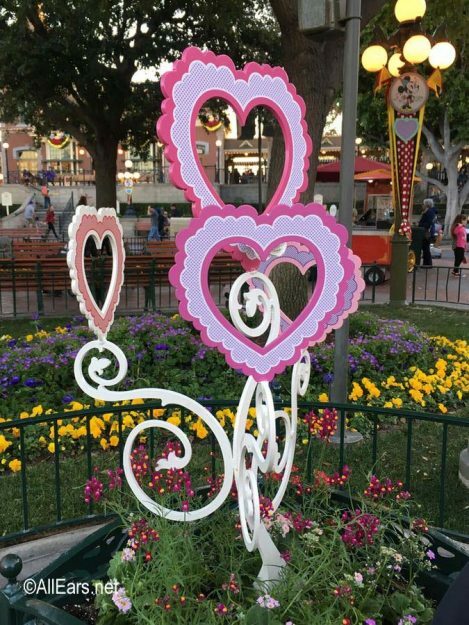 Minnie’s Valentine’s Surprise is a fun scavenger hunt in the park looking for the Valentine cards that Minnie has hidden for her friends. Read about our experience! 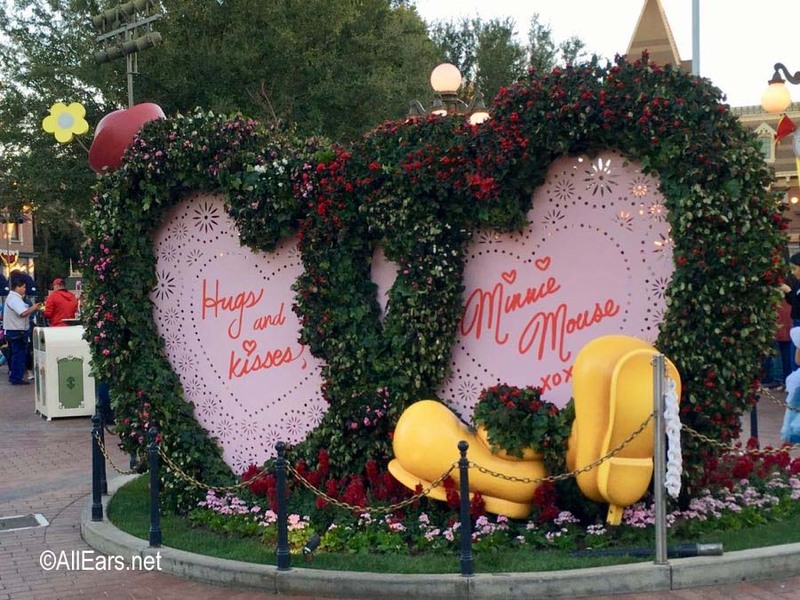 New seasonal foods are also available – read about the special Valentine’s Month food offerings here. Have you discovered any fun Valentine’s Day photos in the parks? Be sure to tag @allearsnet in your photos!